The demand for Windows hosting with remote desktop services is getting higher every day, and that’s who the market is filled with various services packed with lots of features. We gathered five of the best such services, and we’re listing their best features to make your decision much more accessible. Check them all out and after you analyze their whole set of features decide which one is the best for your needs. Riptide Hosting offers remote desktop hosting that enables you to log in from all kinds of devices in order to run and share software and files with other people. This service also provides server hosting including Microsoft SQL server and website hosting on both dedicated and virtual servers. Riptide Hosting delivers three plans for the users’ needs with different pricings: Dedicated Server Hosting, Virtual Server Hosting, and Terminal Server Hosting. Riptide Hosting provides maximum uptime in order to meet your app’s needs. This server has secure datacenters, networks, and hardware as well. Riptide Hosting offers multiple tier 1 bandwidth providers, and it keeps you always online. This service provides Windows dedicated server hosting, terminal server hosting and also server colocation for more than 15 years. Sales and support are available non-stop via phone. Riptide Hosting hosts its servers in Class-A datacenters with redundant power and blended bandwidth in order to maximize uptime. This service offers redundant power and network for maximum uptime and Dell hardware and Intel CPUs. You can check out the complete extensive set of features that are packed in Riptide Hosting and choose the best plan that this server has to offer from the official website. With SolVPS, you will be able to use any PC, Mac or smartphone to connect to your Windows cloud server with RDP. 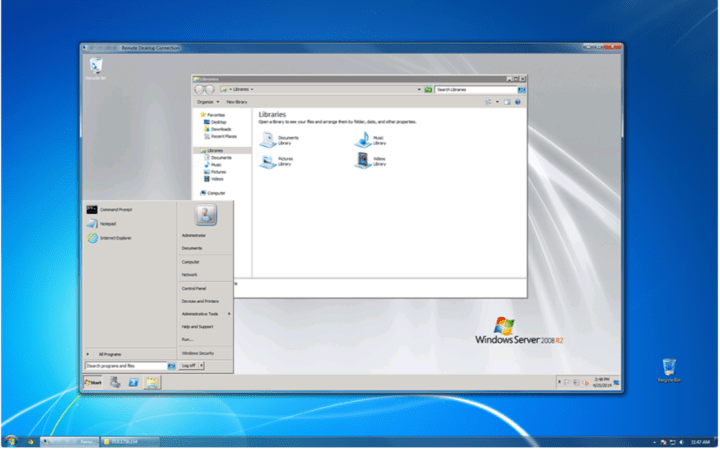 You will be able to use Remote Desktop Connection on your PC, TeamViewer and other various RDP clients. You can run the apps securely on a hosted desktop. The Administrator RDP access comes with all Windows VPS cloud server services. Windows VPS instances are offered with a standard installation of Windows Server, with ready to deploy server roles and features and with the possibility to install your own apps as well. RDP hosting offers a hosted cloud desktop to run your software. You have to install the Administrator privileges, and then you will have to customize system settings. RDP hosting also lets you create additional system users and RDP hosts for your team’s members. Every user needs RDS Licensing. You can choose your favorite version of Windows for free, and this includes Windows Server 2016, Windows Server 2012 R2 and Windows Server 2008 R2. Every VPS is a fully licensed system that provides constant access to Windows Updates and more Microsoft Services. Windows Server is enhanced to offer users the best performance of cloud desktops. You will be able to add more licenses for Microsoft Office, Exchange, SharePoint, SQL Server, and other Microsoft software. This service comes with low monthly costs. You can check out the pricing plans and more features offered by RDP hosting on the official website of SolVPS. AccuWebHosting provides low-cost Windows VPS hosting that guarantees 99% uptime. The service provides superior Windows VPS hosting that comes with different plans with various price tags. AccuWebHosting offers bulletproof Windows VPS hosting network and infrastructure. The data centers are geographically dispersed, and this means that you will get really high-quality network with low-latency. You can choose your VPS data center from the USA and Asia locations. All modern data centers are run by onsite staff, 24 hours a day, seven days a week. The Internet connectivity will ensure extreme reliability that is also backed by fire suppression systems, constant video surveillance and more. All of the HyperVisor nodes hum along with a 1Gbps connection. The fast network connectivity can handle everything, and it’s ideal for software apps, website hosting, forex hosting, game servers, web developers, business needs and more. If you need Windows VPS hosting with root access, then this is the ideal service for you. AccuWebHosting provides 24/7 Live Chat assistance to make sure that all your issues are solved, and your VPS hosting experience is a real asset to all of your online needs. The Self-Managed support option covers all the traditional VPS plans. 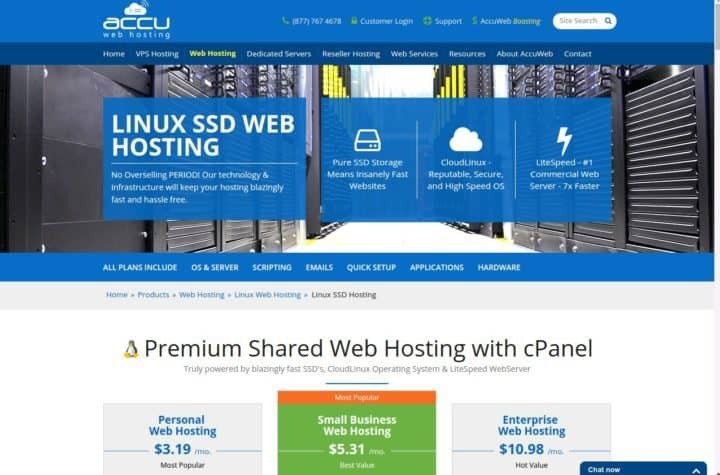 You can check out more details on AccuWebHosting on the service’s official website. This is another excellent Windows VPS, and it’s also easy to use even for the users without tons of experience. VirMach Windows Remote Desktop VPS offers various plans with various price tags, and you can check them out on the official website of this service. You get the ability to customize your disk size up to 8GB. This service relies on virtual dedicated servers that provide all the power that you need at an affordable price. VirMach Windows Remote Desktop VPS provides KVM virtualization, dedicated CPU, and RAM resources as well. This service uses massive servers in ten locations in the world for providing maximum scalability and speed. You will be able to enjoy enhanced SSD and Intel CPU performance. This is an automatically activated and one of the easiest VPS to use. Using VirMach Windows Remote Desktop VPS will turn out to be just like having a second computer. You can take a look at more functionalities and features offered by this service on VirMach Windows Remote Desktop VPS official website. You will be able to move your Microsoft Access Application to the Cloud. Access Hosting can get your Database online and hosted with one of the various hosting solutions offered by this service. You can enjoy secure and reliable 99.9% uptime. The data center meets all the requirements of the Uptime Institute for scalable power, cooling, and increased security. This service can scale dynamically with your growing business. Access Hosting is the perfect way to centralize all vital data on the web, and it can help distributed business teams collaborate and work efficiently. The service provides more plans such as SharePoint Access Web Services 2013, Remote Virtual Desktop Hosting and SharePoint Access Services 2010. Using Access Hosting, you will be able to work with your database anywhere and anytime via any device including the ones running Windows. Check out more features of Access Hosting and get the best plan for your needs from the service’s official website. These are our top picks for the best Windows hosting with remote desktop services that you can use right now. Head over to their official website to analyze their complete set of features and choose the best service for your needs.